We have already talked about Google’s Daydream about few months ago. You might have waited for a long time and some of you might think ‘Already? 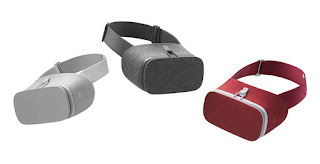 Time flies!’ Google unveiled its new product line such as new chromecast Ultra, Google Home,which is a Smart home device and speaker, Google Wifi Routers and also Google Daydream View and pixel phone through their unveiling events in 4th October in San Francisco. It mostly has a neat design and it is also practical. Among these gorgeous products, we would like to examine deeply about the Daydream View, Controller and the pixel phone which is the first Daydream-ready phone. 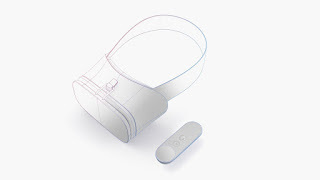 As we learned before, Daydream, which is Google’s VR platform, works same as Oculus home. You can enjoy VR through mobile. 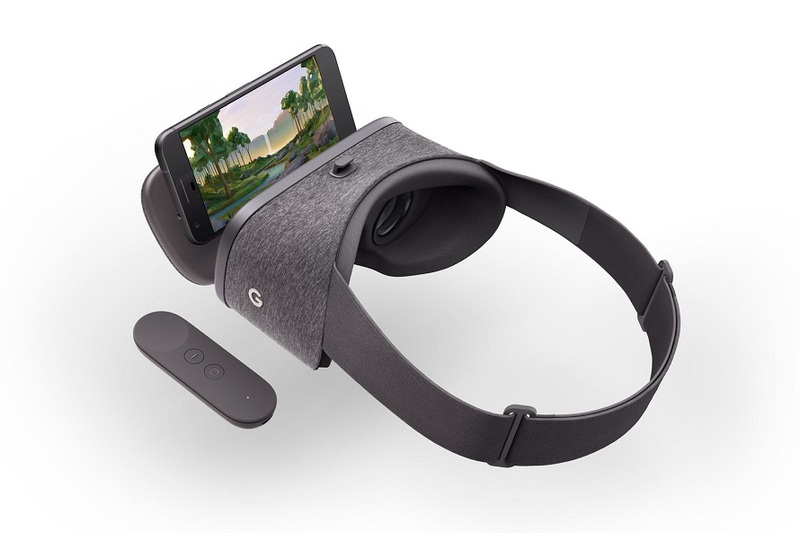 Daydream runs automatically when you put a Daydream-ready phone in the HMD made by Google. People who experienced Samsung Gear VR will easily understand. The revealed Daydream View was almost the same with the image opened in the last I/O. However, it differs from the other HMD, which is mostly made with plastic. Google’s HMD has been covered with fabric. The color is three types: Snow, Slate and Crimson. The facepad is removable to wash whenever you like. It seemed unhygienic when most of the HMD facepad wasn’t removable, however, Google helped it. A Daydream-ready phone is needed to run the Google Daydream View and Google has announced its first Daydream-ready phone which is called Pixel phone. 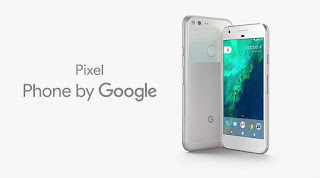 Pixel phone was produced by HTC but differ from the previous Nexus line, most of the design and UI was done by Google and only a small part of design and production was proceed by HTC. The design is modern and it is similar to the iPhone. Also, a USB type C port has been applied. This pixel phone runs on operating system named Nougat and it has the highest spec. However, it is a bad news to hear that it has only 32GB and 128GB of storage. The color is same as the leaked image: White, Blue and Black. The price starts at $649 to $1419 depend on the type and storage. There will be more Daydream-ready phones coming up soon. It seems like Daydream View has more chances compared to Gear VR, which is compatible only with Galaxy series phones. It is not perfect even if you put your Daydream-ready phone to the Google’s HMD. In Gear VR, touching the side worked as a button but the Daydream view doesn’t work in the same way. However, more simple and easy way to choose the content has been opened by a very simple controller. 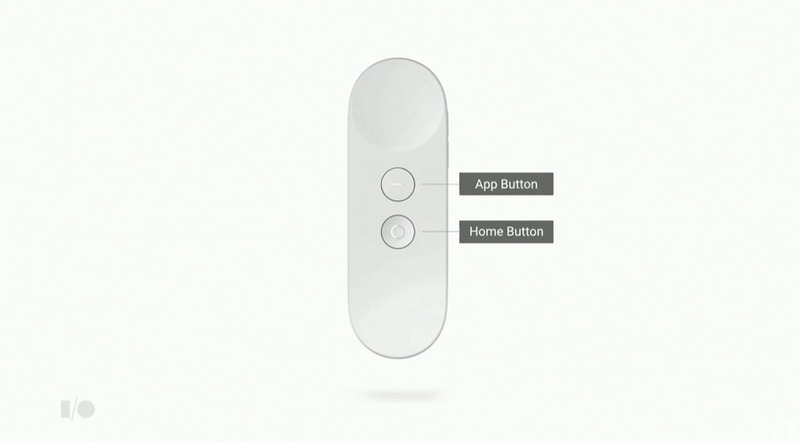 Google has cared the users by putting each app and home button in the controller so that users can go back easily to the menu or home screen. The smart sensors provide smooth tracking and movement and an adjustable volume button lets you turn up your experience. Through this you can swing a bat, steer an airship or even cast a spell with a magic wand. There are many apps and fun experiences coming to Daydream. 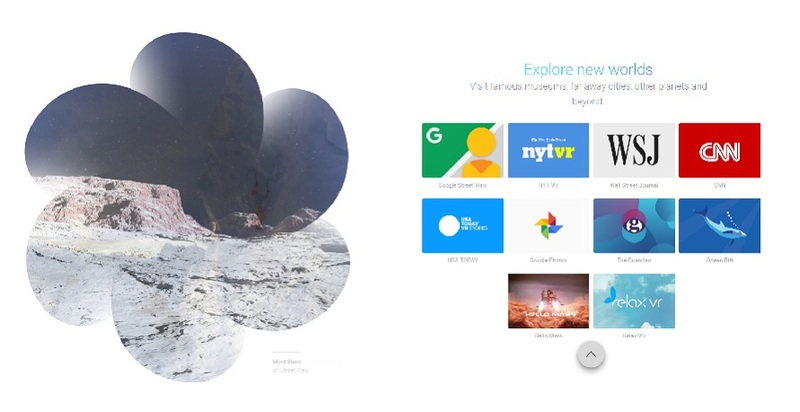 You can explore new world with Google’s basic service such as Google street view, Google photo and it also provide CNN and New York times as an app so you can enjoy the news also in virtual reality. In Gear VR, you had to get on the internet to watch youtube videos. 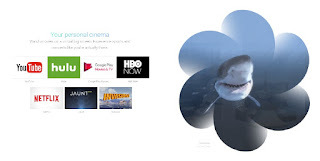 However, Google made youtube as a customized application so that users can access more simply and easily. Through Hulu, Jaunt and Netflix you can enjoy your personal cinema, so watch movies on a virtual big screen and experience sports and concerts like you’re actually there. You can get in the game with VR as there are many games such as Wonderglade, Fantastic Beasts, and Danger Goat …etc. ready for you. Lastly, you can enjoy the exclusive demo of J.K. Rowling’s ‘Fantastic Beasts and Where To Find Them’ only through Daydream. You can meet this demo magically at select stores in November. Which will be the last one to win the victory between Gear VR, which is only compatible with Samsung’s Galaxy phones and Daydream View, which makes phones possible to work with its HMD through Daydream-ready certification?